Nearing the end of yesterday's walk. Here in UK we have just ended BST (daylight saving time) and the hour makes such a difference to our expectations of late afternoon light. 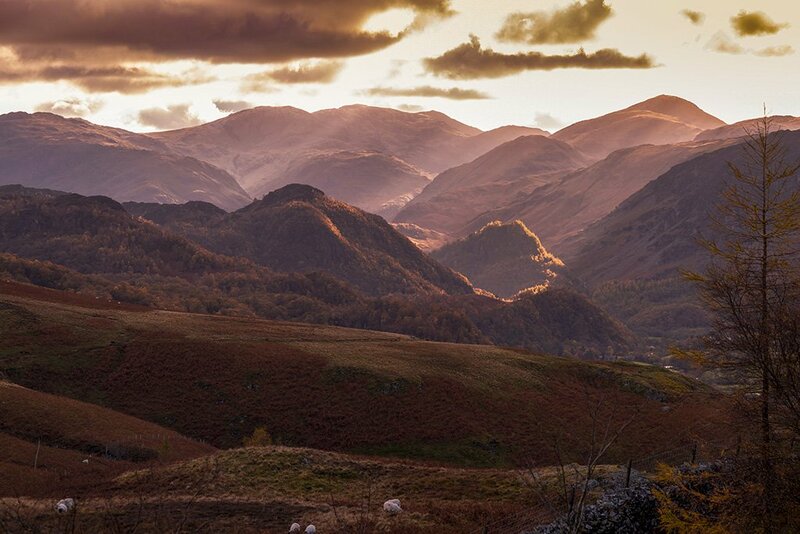 beautiful light over the hills. Great landscape with the with the soft hills in the foreground with the steep mountain slopes in the background. Lovely light and colours. Lovely light, it's happening a bit too early now though! This is what I meant about you taking the kind of photos I can only dream of 😊. Fabulous capture. Fav. This is stunning! Love the beautiful light. Just brilliant! What a wonderful capture. Fav. @joansmor @365karly1 @777margo @girlie @borof Thanks for commenting, much appreciated.